Design consultancy Mather & Co has completed the first phase of a four-year project at the Quarry Bank estate in Cheshire. 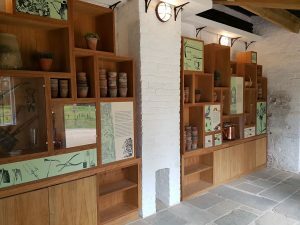 The £9.4 million project, which is partly Heritage Lottery funded, is scheduled for completion in its entirety by 2020, but the first phase, to design and interpret three ‘back shed’ spaces and the wider garden landscape, has been completed this month. Primarily known for its cotton mill built in 1784, Quarry Bank is the most complete designed industrial revolution community in the world, comrpising the homes and workplaces of the owner, manager, workers and apprentices, a farm, village, school and two chapels. 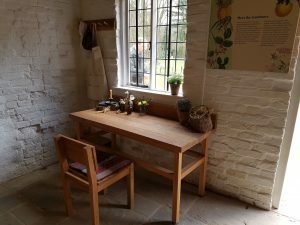 Its brief is to help the National Trust re-interpret the estate as a whole, with individual elements that offer a range of experiences for visitors. “Mather & Co has helped to design and interpret the garden spaces to tell the story of the important landscape, the historic garden team and their ways of working as well as the back sheds that contrast with the overall splendour of the gardens,” said Sammy Bentley, interpretive designer at Cheshire-based Mather & Co.
Further phases of the project will include Styal Village, the restoration and opening of a worker’s cottage and the village bakery, opening Quarry Bank House to the public and improving access around the site with a new network of paths and roads, and finally re-interpretation of the mill itself. “The Quarry Bank project has been even closer to our hearts at Mather & Co as we are located a couple of miles away from the estate – which means that we are engaged as ‘locals’ in what the project will bring to the community it sits in,” added Chris Mather, chief executive, Mather & Co.
Work on phase two has already begun.